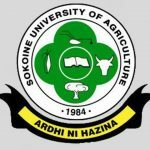 Sokoine University of Agriculture (SUA) does not have special fund for provision of scholarships to postgraduate students. However, a number of SUA hosted research projects with capacity building component provide either full or partial scholarships to postgraduate students. Some of these funding opportunities are often announced in SUA website at http://www.sua.ac.tz/scholarships. Applicants are therefore advised to either visit SUA website from time to time or make enquiries with relevant departments/colleges/schools before or after being registered for degree programmes at SUA. A number of initially self-sponsored students benefit from these scholarship opportunities as it is easier for them to conduct relevant departments/colleges/schools. Postgraduate applicants are encouraged to seek for admission under self-sponsorship as research projects with capacity building are continually developed at SUA.